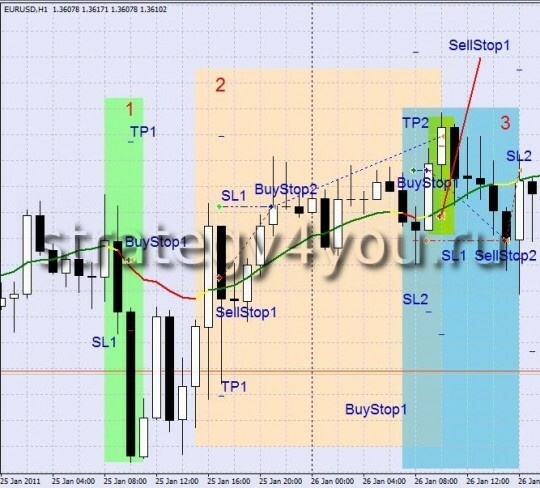 Forex Strategy LRMA — a very simple indicator forex strategy, and is based on only one indicator forex signals for Metatrader 4: Indicator VininI_LRMA_color.ex4, the currency pair can be arbitrary, but the preference I would have given the following pairs: EURUSD (H1), GBPUSD (H1) , EURUSD (M30), because on them carried out a test and reports you can see the end of this forex strategy, as well as download a detailed report on the work of Expert Advisor LRMA (according to the rules of the trading strategies forex). In our forex strategy would be to deal at the time of turn indicator forex VininI_LRMA_color.ex4, and in that case, if the color change indicator does not give us the pulse of the movement in the forex market in a new direction, and the price goes to the formation of corrective movements. It is these corrective movements and we will try to get your profit! 1) First, set the schedule for the chosen currency pair indicator VininI_LRMA_color.ex4 c period of 40, other options: Price = 0, Shift = 0. 2) Trading occurs only at the indicator signals VininI_LRMA_color, at the time of the change of direction indicator, let up (changing color of the indicator from red to yellow, we conclude fraudulent deal buy (it was imaginary, not real, or if you find it easier to simply expose the 2 lines one as if the profit of the transaction, the other line — the stop-loss deals with fixed parameters, for example EURUSD 20 pips). 3) Just at this moment we establish order sell stop at a stop-loss imaginary transactions (SL1 = 30 points, TP1 = 50 points), then there is a pending order expose the opposite direction crossing indicator. If the imaginary transaction (which is aimed in the direction of the indicator) as if locked in profits, then delete the pending order sell stop and wait for the next signal. That is, do not trade in such cases and remove all orders! 4) If a fraudulent deal as it closes the stop-loss, is opening deferred Sell orders at this point again at the level established by the stop-loss orders are already open (the real warrant Sell) expose another pending order Buy stop (SL2 = 30 points, TP2 = 30-40 points), which is 1.5 times greater than our public warrant Real Sell. 5) If an order is triggered Sell closes profit, buy stop order and remove the wait for the next signal (the color change indicator). If, however, again triggered stop-loss, but only on the real warrant sell, it opens a pending order Buy. After the closing of orders (in any combination: anti-profit, stop-stop) will not open and not set up any orders, and wait for the next signal indicator VininI_LRMA_color (changing its color). 6) If after the closing 10-hour candles, 2-nd order has not been activated, remove it! 7) in the same way as in any forex strategy of this site, I recommend to strictly adhere to the rules of Money Management! LRMA indicator changes color from green to yellow, at the close of the first white candle in the rectangle (left) opens the first left black candle, we usanavlivaem imaginary deal to podazhu with a profit and stop-loss of 20 points (shown any signs of the imaginary of the transaction is not ). At the same distance from the opening 20 points of imaginary orders (at the opening of the first black candle), place pending orders Buy Stop one with a profit of TP1-50 Punto and stop-loss SL1 — 30 points. Because Imaginary deal was closed in imaginary take-profit, then, respectively, and Buy Stop order 1, we delete! LRMA indicator changes its color from red to yellow, at the close of the second white candle in the rectangle (left), opens third black candle, we usanavlivaem imaginary deal to buy with a profit and stop-loss of 20 points (shown any signs of the imaginary transactions no) . At the same distance from the opening 20 points of imaginary orders (at the opening of a second black candle), place pending a Sell Stop order with a profit of TP1-50 Punto and stop-loss SL1 — 30 points. Because Fraudulent deal was not closed in imaginary take-profit, then, respectively, and a Sell Stop order bylotkryt! But the price has not reached a few points to take-profit, the price turned iselka was closed by stop-loss 1. But at the moment tkrytiya Sell Stop Order 1, was set Buy Stop order 2 with svim stop and profit (SL2 = 30 points, TP2 = 30-40 points). This Buy Stop order 2 and was open at the close of Sell Stop Order 1. And the volume of transactions Buy Stop 2 in 1.5 razabolshe than Sell Stop 1. Further, the deal was closed in profit. 3. At the time of trading on a series of transactions in a pink rectangle, just a change of color indicator LRMA from green to yellow — a rectangle with number 3 — blue. At the closing of the first black candles and Opening of the 2 nd Black (Dodge), we expose an imaginary deal to sell and set aside an order to buy — Buy Stop 1. This order is activated, does not reach doprofita, unfolds in the future is closed to stop lossu1, immediately activated Sell Stop order 2 (in 1,5 times larger volume), but it also closes the stop-loss. Everything about this series of transactions we do not sell! 4. At the time of trade transaction 2 and 3, there is still the SPE signal — green rectangle in blue. At the opening of the 2-nd white candle, set a Sell Stop order (at the level of stop-loss imaginary transactions), but because imaginary deal was closed on profits, then the warrant is removed! Template Metatrader 4 — lrma.tpl (previously it should unzip). MT4 template suitable for any broker forex (5-digit, type ALPARI, 4-digit, type FOREX4YOU). See here: How to install the template in MT4? Note: if you want to receive updates Adviser - LEAVE positive feedback in the store Plati.ru without specifying e-mail in the body of reviews! 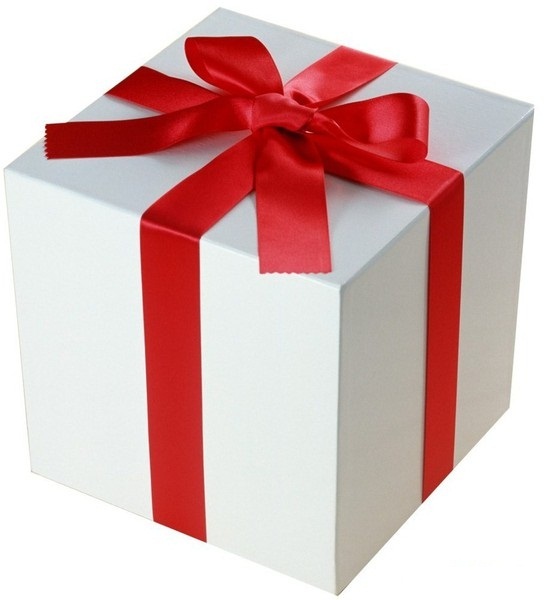 e-mail please indicate on the payment page - which indicates where the goods will be delivered!